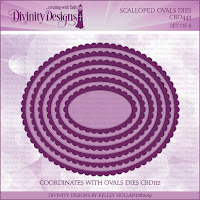 Exciting happenings today...it's the new Divinity Designs February Release! 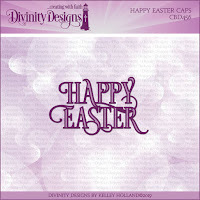 The release is filled with beautiful spring and Easter-themed products plus new dies and paper pad!! 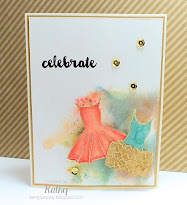 For my first card, I cut light green cardstock with one of the Pierced Rectangles Dies then used the Flourishes Embossing Folder. 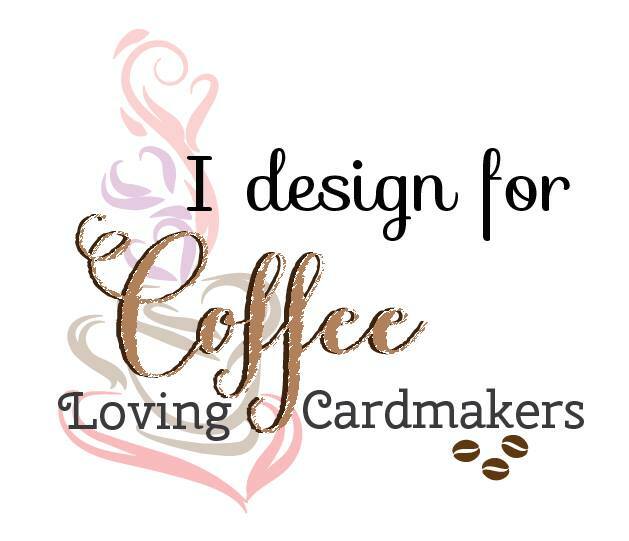 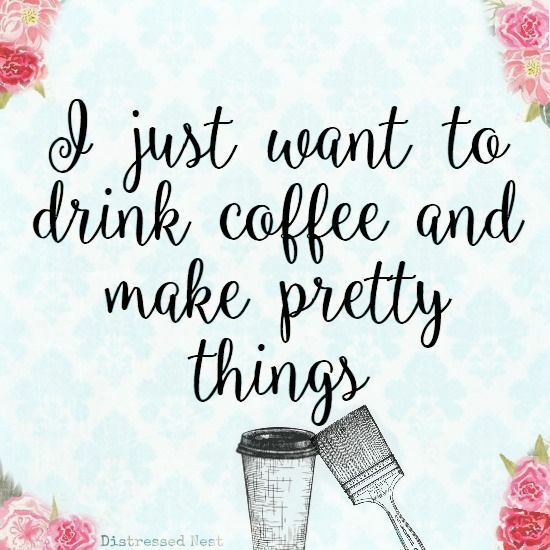 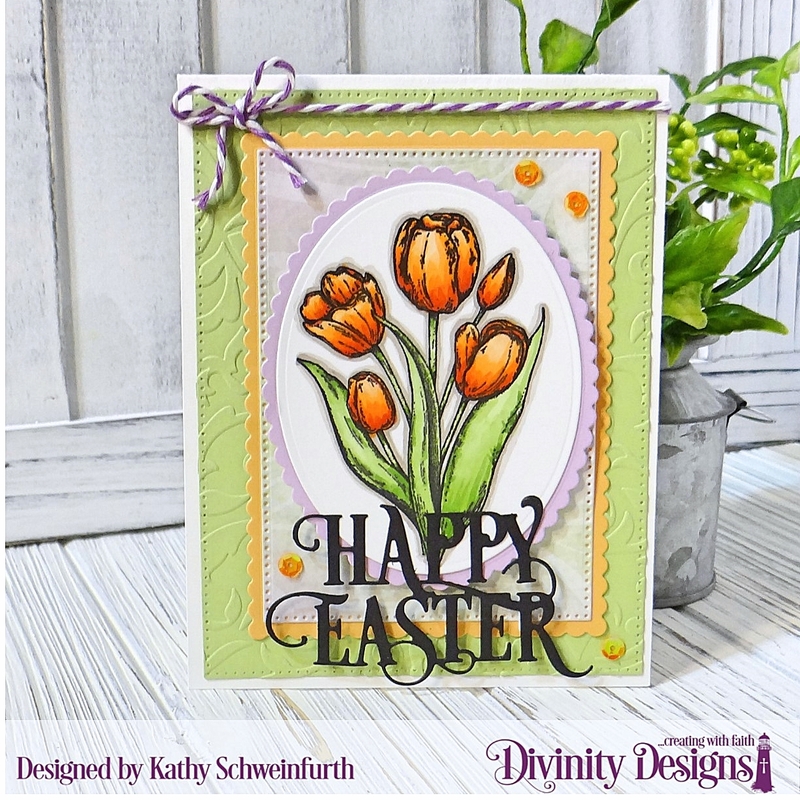 For the layers, I cut designs/colors from the new Spring Flowers Collection paper pad with the new Scalloped Rectangles Dies and Scalloped Oval Dies. 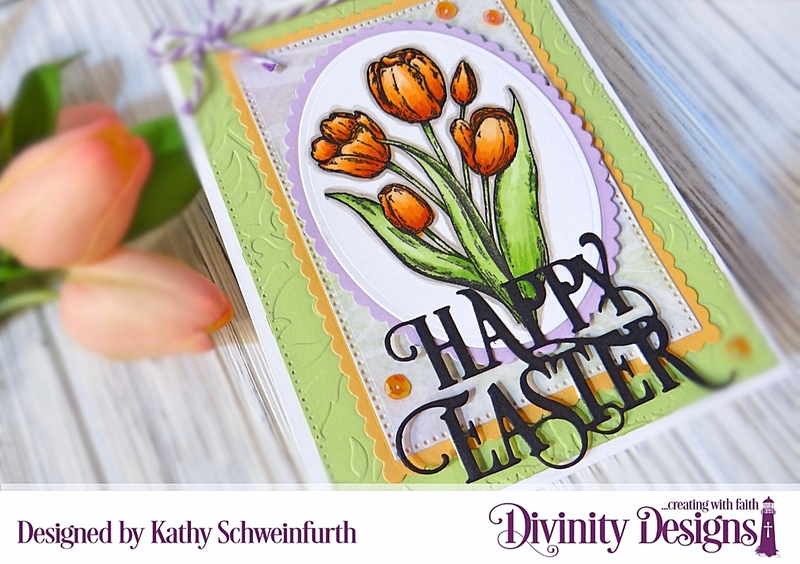 These lovely tulip images are from the new Glorious Easter stamp set and the words from the new Happy Easter Word Dies. 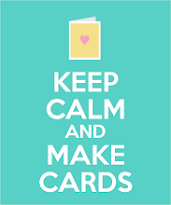 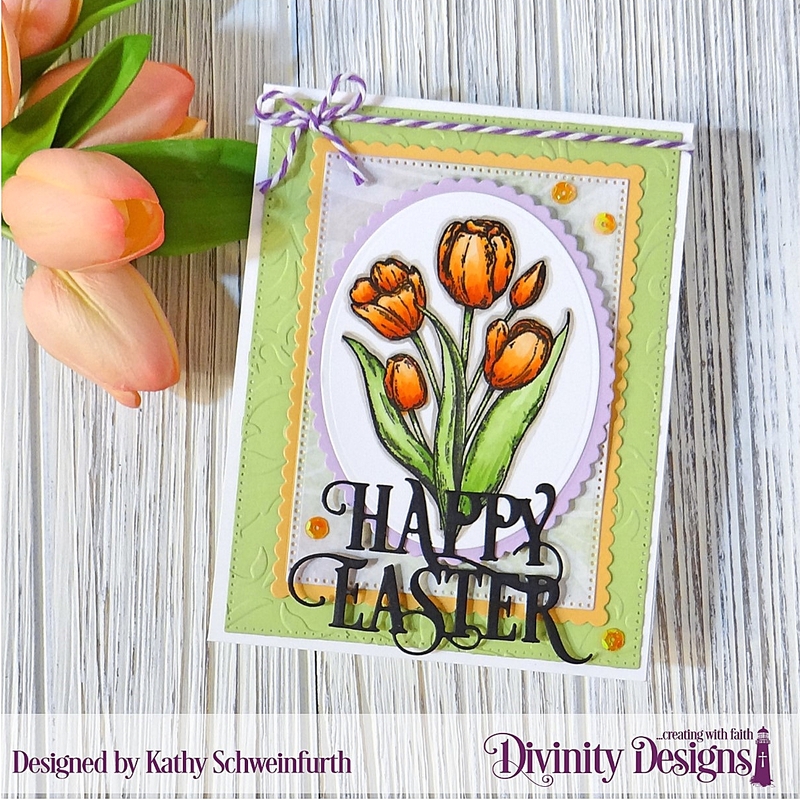 For my next card, I cut green cardstock with one of the Rectangles Dies and used a design from the new Spring Flowers Collection paper pad cut with one of the new Scalloped Rectangles Dies. 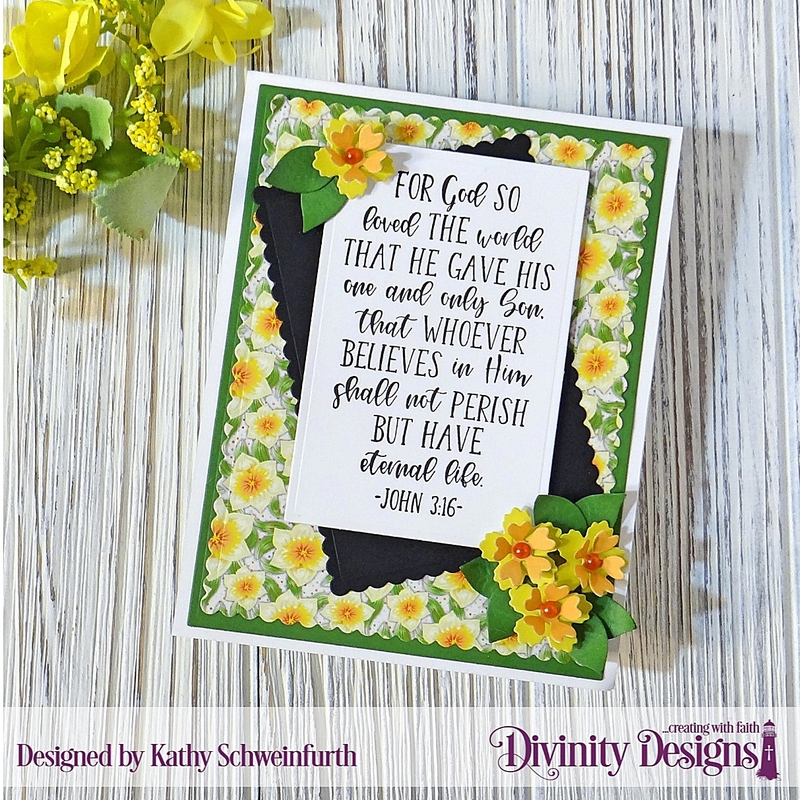 To 'highlight' the new John 3:16 stamp image cut with one of the Rectangles Dies, I cut a piece of black cardstock with one of the new Scalloped Rectangles Dies. 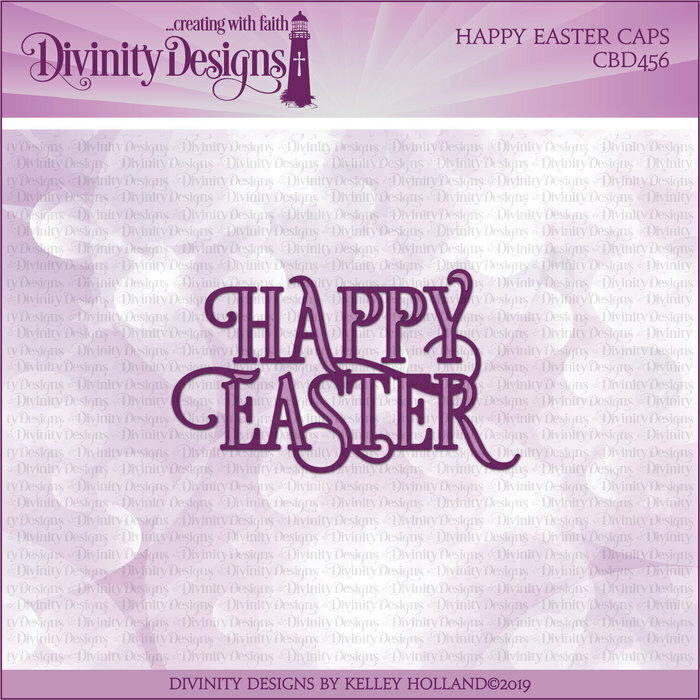 The little flowers and leaves were made with dies included in the Festive Favors Dies set. 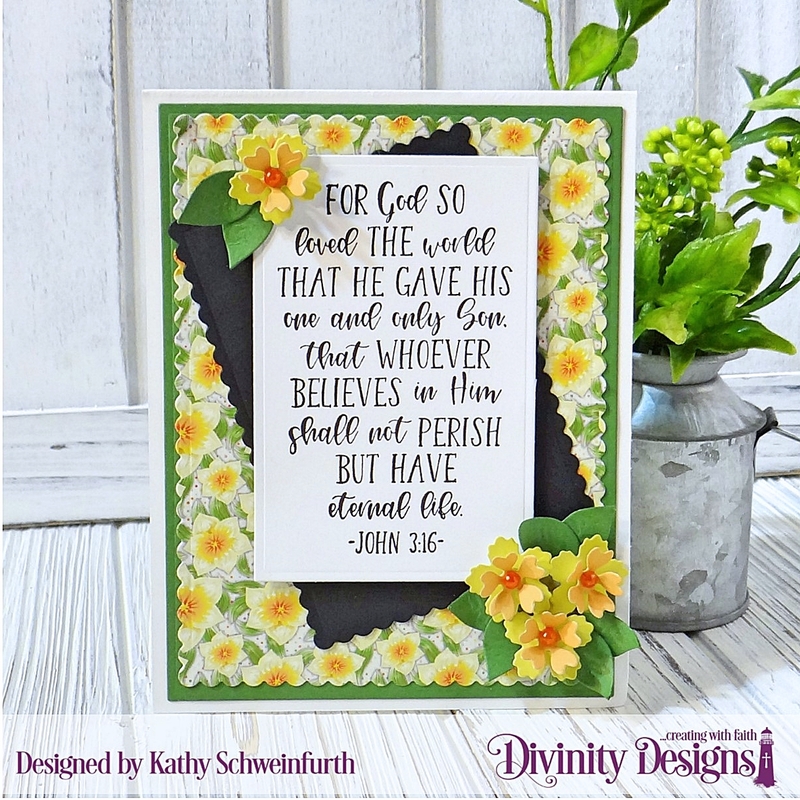 The flowers were cut from papers in the Spring Flowers Collection paper pad and the leaves, from green cardstock. 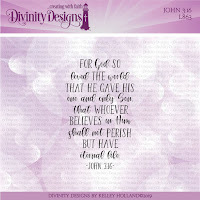 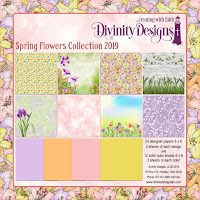 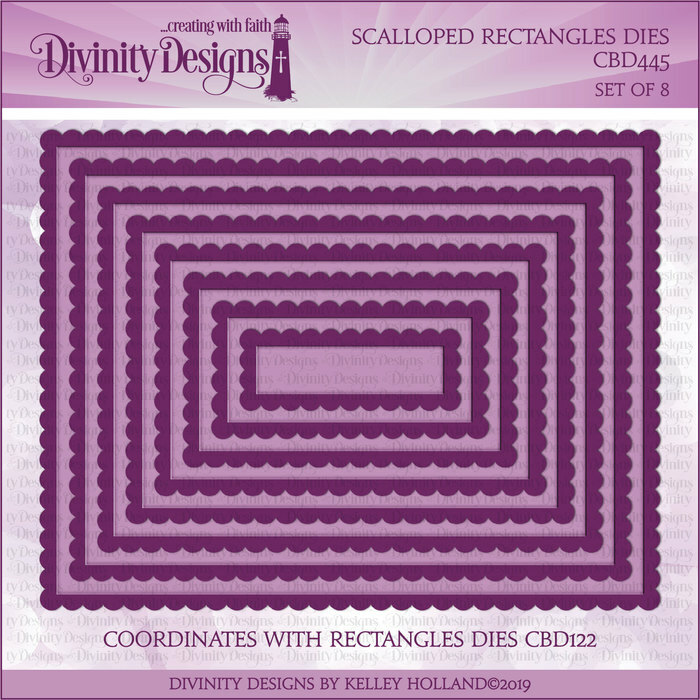 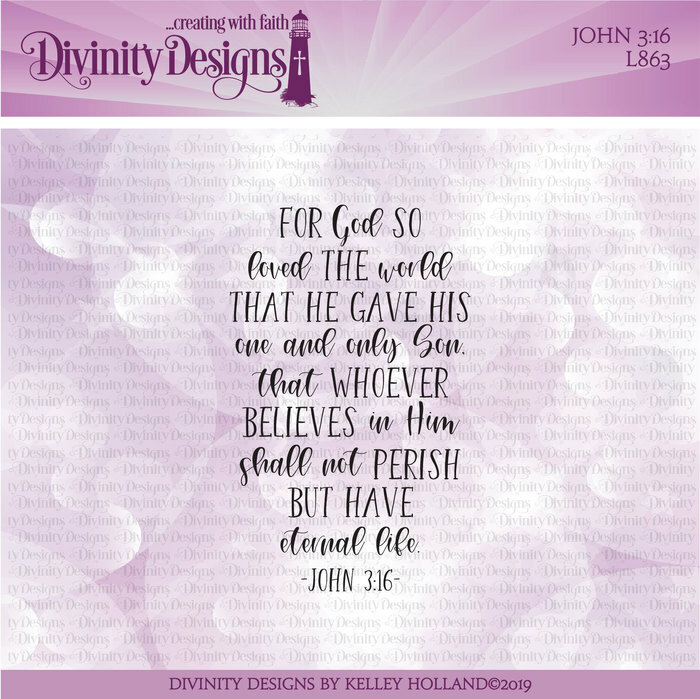 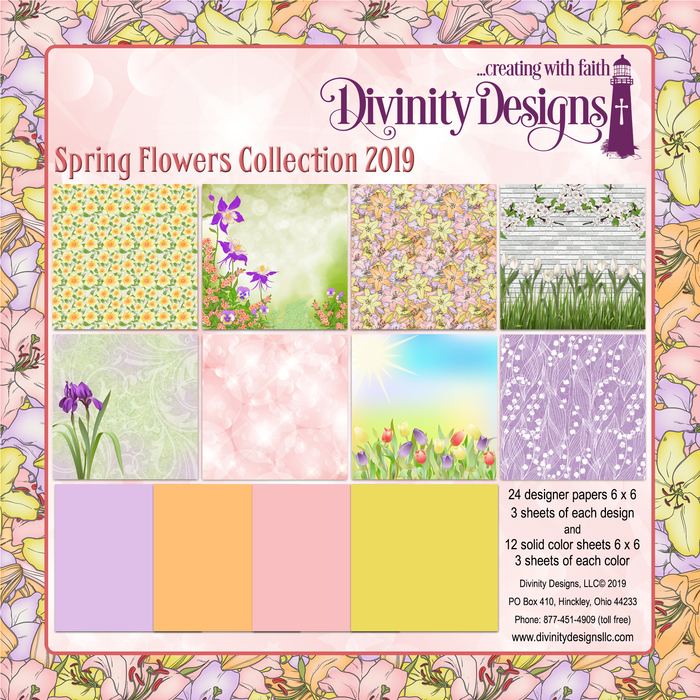 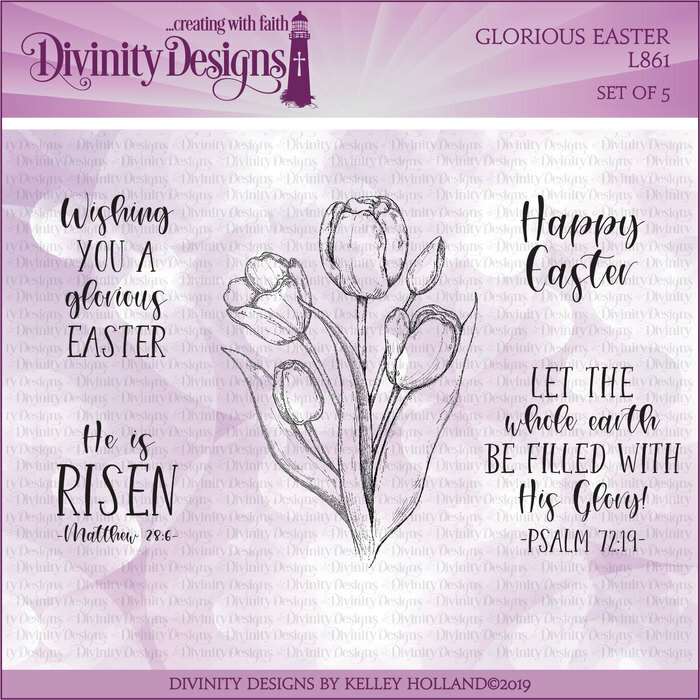 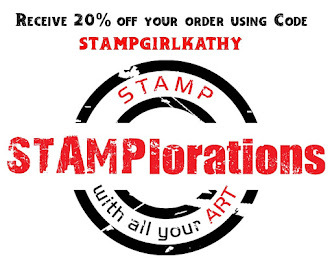 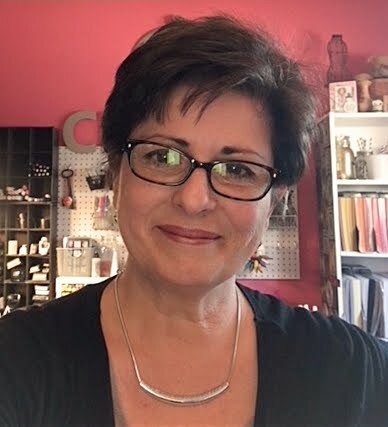 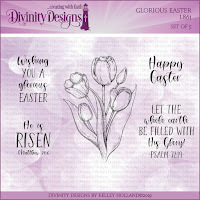 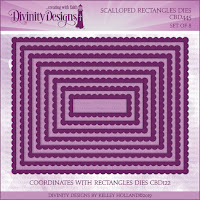 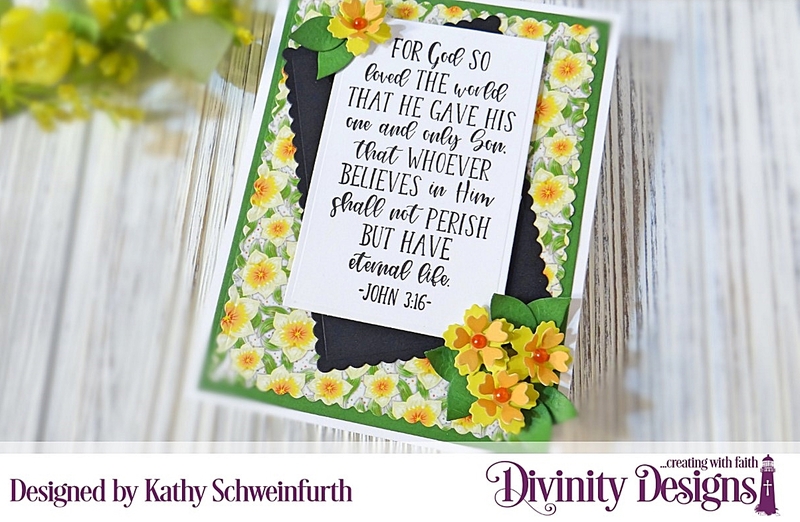 You'll want to stop by the Divinity Designs blog to view the entire release complete with video and special bundle offers!